There are not many open source software that offer so many features that one would find it hard to believe it is really and truly free and open source. And Audacity belongs to exactly that rare category of tools. 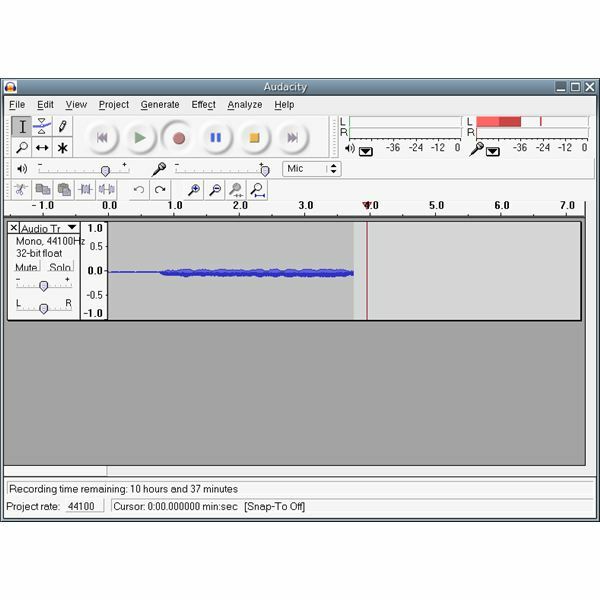 This open source audio capture utility goes far beyond simply capturing audio – it can edit, analyze, add fancy effects and handle a plethora of audio formats. Audacity is available for Windows, Mac or Linux. Lets have a quick look at the most amazing features of this fantastic open source audio capture utility, Audacity. dle a range of audio formats, which I'll mention in the next point. Audacity can record as well as edit 16-bit, 24-bit or 32-bit samples. If you have a collection of vintage audio cassettes (or magnetic tapes or vinyl records) and want to convert the cassettes to a digital format, then Audacity is the tool to have. It can take in input from any of these sources and pump out MP3 files in a jiffy! What's more, Audacity can even be used to dub over tracks and create multi-track output files. Using the appropriate hardware, Audacity can be used to record up to 16 channels at one go. The in-built level meter can be used to keep track of and monitor volume before, during or even after the recording is done. Audacity can also capture streaming audio. So if you want to record a song playing on a particular website or audio-stream, Audacity can do it for you. Almost all major audio file formats, like .wav, .aiff, .au, .ogg (Ogg Vorbis) and .mp3 are supported by Audacity (certain libraries may be required for certain formats, though, like LAME for MP3 support). Audacity also offers the option of opening raw audio files and save them as any of the above. Being open source, Audacity does not support proprietary audio formats like Windows Media Audio (.wma) or AAC. merge audio files using simple 'Cut','Copy','Delete' and 'Paste' commands. Another fantastic and very useful feature (especially if you bungle up) is the unlimited 'Undo' and 'Redo' feature. Its one feature which I particularly love! Like proprietary software, Audacity too offers the capability to edit an unlimited number of tracks. There are simple tools for audio mixing, fading and increasing and decreasing volume very smoothly. 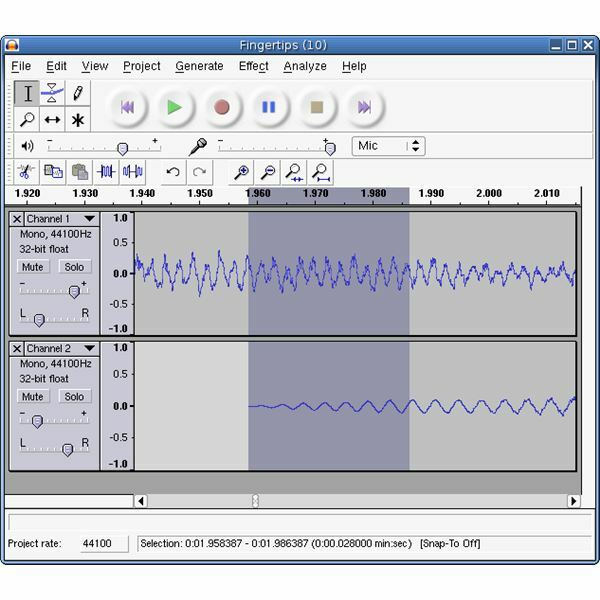 Audacity offers audio file analysis tools like spectrogram mode for visualizing frequencies and a dedicated 'Plot Spectrum' command to manually analyze a given audio file in detail. Remove background noises like hiss, static or hum, very often heard in analog recordings. Volumes can be adjusted, amplified or normalized. There are tools for frequency equalization, FFT Filter and Bass Boost. 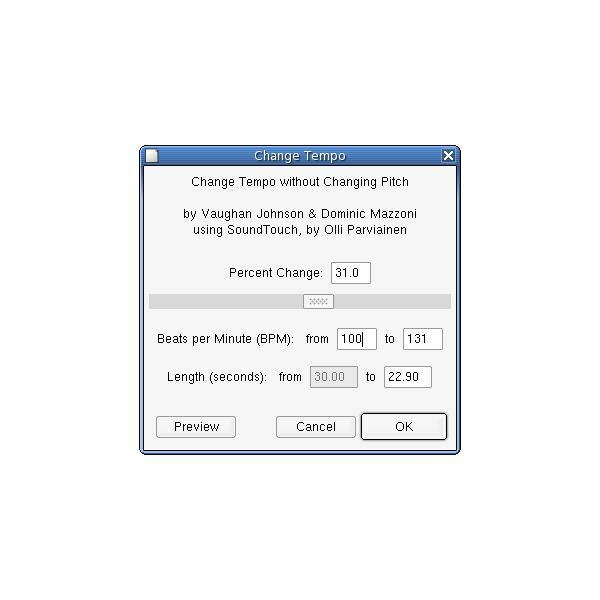 One can change pitch without altering tempo, or the other way round, to add unique and 'studio-like' effects sitting right at home! Ever felt like reversing your audio fiile? With Audacity, anything is possible! Audacity also supports a host of plug-ins to increase its functionality. A recommended set of Audacity plug-ins are the LADSPA plug-ins. VST plug-ins are also supported. If you're feeling particularly geeky, Audacity also offers the in-built Nyquist programming language to code your own effect! So that was a short description of Audacity. If you've read down here, then you really must be interested in audio editing. I would strongly recommend you install and try out Audacity. No doubt, it's simply the most feature-rich open source audio capture utility out there!